Product information "Anti-phospho-RNA Polymerase II (Ser2)"
Immunogen: synthetic peptide. Immunogen for A300-654A-T was a phosphorylated synthetic peptide, which represented a portion of human RNA Polymerase II (GeneID 5430) around serine 2 of the C-terminal repeat YSPTSPS. 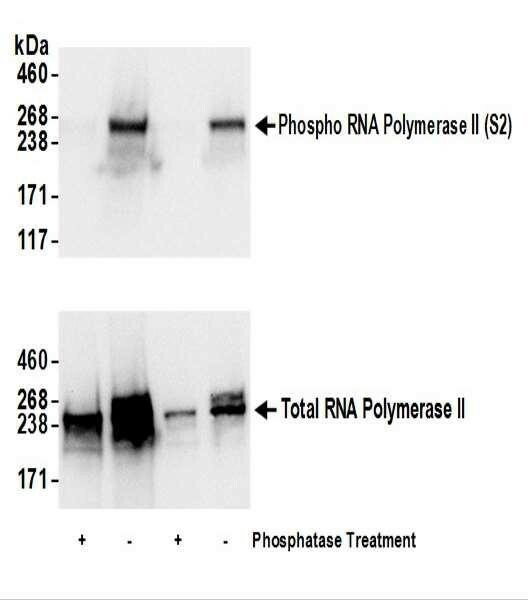 Customer review for "Anti-phospho-RNA Polymerase II (Ser2)"